When you need a roofing contractor in Concord, we’re the ones to call. When your roof needs some work done on it, not just anyone will do the job right. This is why it’s so important to choose a roofing contractor you can trust — like JM Reynolds Builders, LLC. As a roofing company that’s been serving the Concord, North Carolina area for over a decade, we know how to manage roofing projects of all types with excellent attention to detail complemented by superior customer care. We take our job as a roofing contractor seriously and realize we wouldn’t be where we are today without our valued customers. This is why, although we value quality workmanship, we always put our client first. 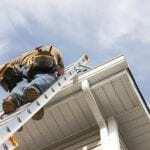 When you have us come to your home to work on your roof, we’ll respect our surroundings, give you updates about our progress, and make sure the job gets done right as quickly as possible. Some of the services we offer as a roofing contractor include roofing repairs, maintenance, and installation. 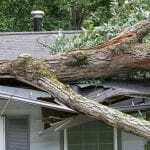 Whether your roof was damaged in a huge windstorm or your current roof is reaching the end of its useful life and needs to be replaced, we’ve got you covered. No roofing job is too large or too small for our highly qualified, experienced team. When it comes to your home’s roof, don’t take any chances. Instead, leave all of your roofing needs up to us here at JM Reynolds Builders, LLC. Contact us today if you want to know more! At JM Reynolds Builders, LLC, our roofing contractors proudly serve Concord, Kannapolis, Cabarrus County, Charlotte, Salisbury, Mooresville, Huntersville, Granite, Quarry, Davidson, and Paw Creek, North Carolina.